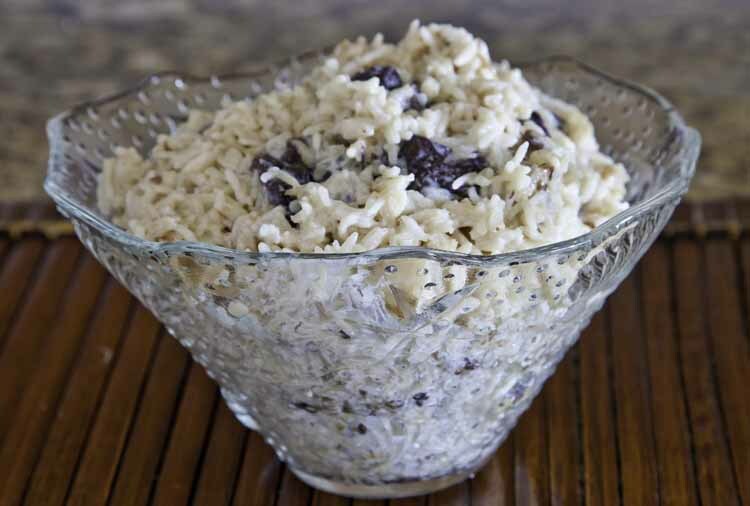 The rice and prune dessert is a very old recipe. I have added to and changed it a little to suit my lifestyle. The recipe is gluten-free and GMO-free. It is so very simple and easy to make. 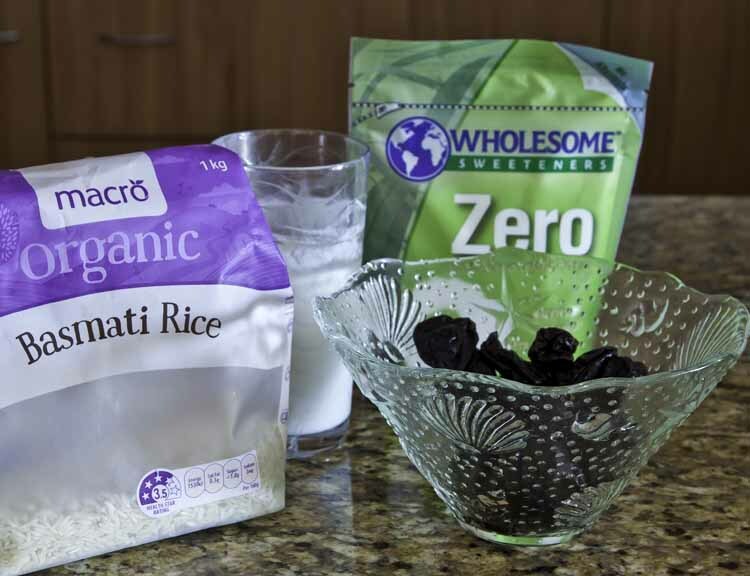 Add the rinsed rice, prunes and sweetener to the boiling water. Once the rice boils turn the heat right down low and put a lid on it. Stir occasionally, after 10 minutes see if the rice grain is cooked all the way through. If need be, add a tiny bit more water. When cooking rice, I like to make sure it cooks in all the water. Using a lot of water and then draining the rice can waste minerals and other goodness. The recipe can be eaten hot or cold. 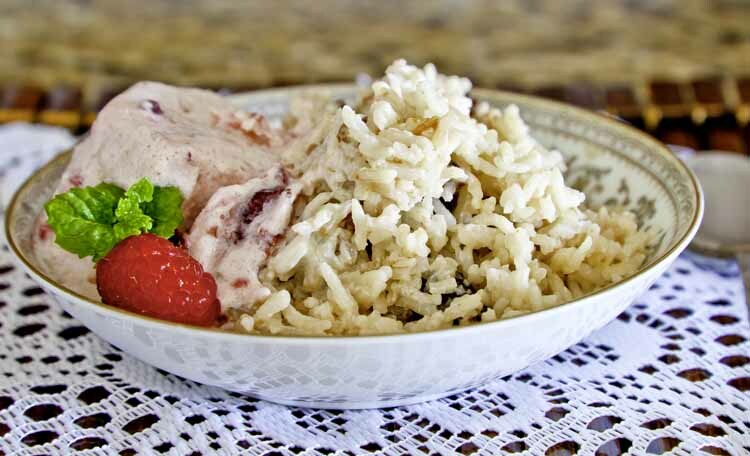 Just before serving add the plain yogurt and maple syrup – stir it through the rice. Dessert does not come much easier, from start to serve in 15 minutes. I do like to top this delicious dessert with a little cream. I added some raspberry probiotic Goat’s milk yogurt ice cream for this photo. The dessert does not need it. It has enough flavor without ice cream. I must admit that the addition of some pouring cream does complement the dessert. 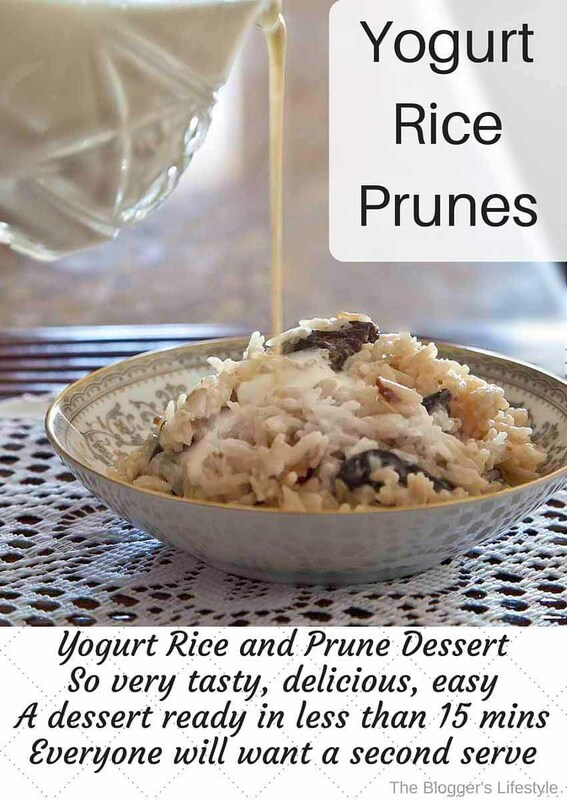 I hope you like this Yogurt – Rice and Prune Dessert. Next post Google Analytics |Don’t give up!